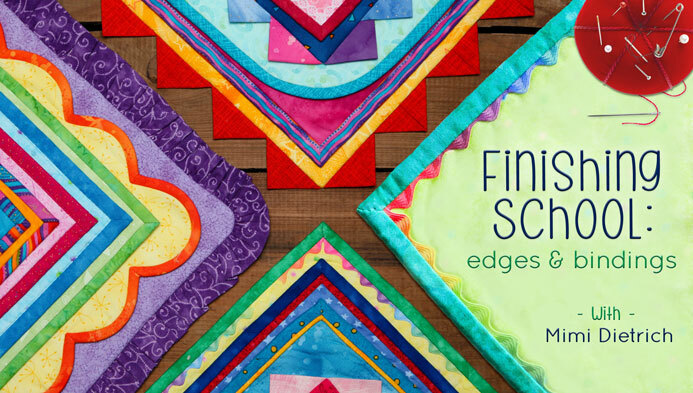 A quick congrats to Kathy H. who won the Craftsy Class, Finishing School: Edges and Bindings with Mimi Dietrich. I’ve got one more Craftsy class giveaway scheduled in the next couple of weeks, so be sure to stay tuned for details! That reminds me – for those of you participating in the Abacus Quilt Along, be sure to email me pictures of your progress by November 10th and I will highlight them here on the blog on November 12. They don’t even have to be finished! The more people who email me at christa@christaquilts.com, the more I’ll have to share! You can also post them on instagram #abacusqal or share on flickr at ChristasQuiltAlong. Christa, thanks so much for the Craftsy class, Finishing School: Edges and Binding. I am just getting ready to finish two quilts and look forward to trying something new. Huge ‘congrats’ to Kathy H!!!!! I’m sure you will learn lots from that course!!! Thanks so much, Christa, for the opportunities to enter these giveaways!!! Love Craftsy classes!!!!!! !